Human productivity resource for a day is limited. As Nobel Laureate Herbert Simon first suggested, “when information is plentiful, attention becomes the scarce resource”. This means that your energy for a day is pretty much fixed and you can deal only with a limited number of tasks. The more difficult the task is, the more energy you expend. Pretty obvious, but do you really pay attention to how well you organize your workday`s intensity? Start your work with cognitive-consuming actions before anything else. It is the time while your mind is still fresh and is able to deal with difficulties. Make one difficult decision, and the next one is more difficult. It's much better to begin your day with the most energy consuming actions leading to the easiest - before you run low on energy. Deal with routine tasks at the end of the day. 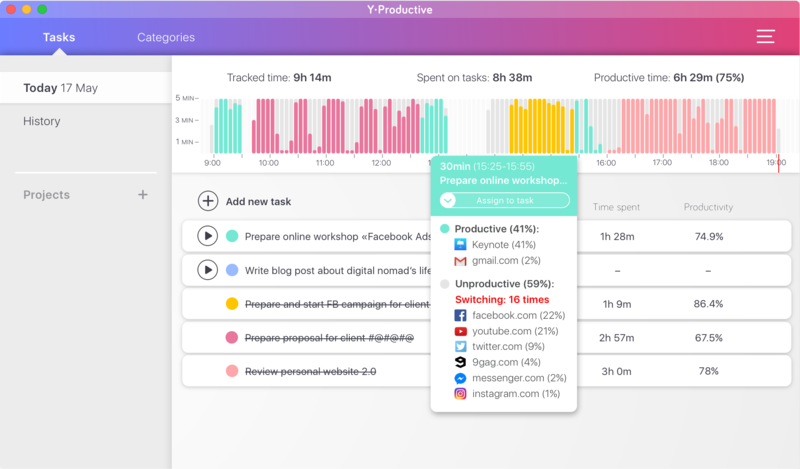 Keep an eye on your productivity status after 2-3 hours of intensive work on a task. More than likely you’ll spot a significant productivity drop, signaled by the bars height decrease. It is a sign of gradual exhaustion of your cognitive resource. To restore it, make a short pause in your work. It is also a reason to plan most difficult tasks first: you may lack energy and willpower to deal with complex things by the end of the day. Organize your work by the type of brain activity. “Your Brain at Work” suggests a method where you group your work process by blocks. Devote one of these blocks to deep work, like writing articles or programming, another - to business meetings, and yet another block to routine responsibilities like checking your email. Creative tasks and deep thinking require more effort so it is better to schedule those activities to the same part of the day when your mind is ready to solve difficult tasks. Usually, the most productive part of a day is morning, but for you, it may be different. 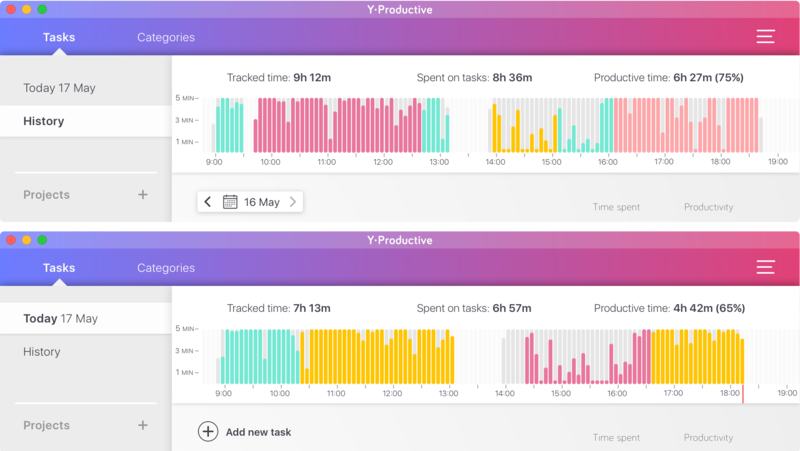 You may research your best productivity hours by comparing the days in the History tab. View the best or worse productivity tendency by checking the chart bars` height: the better you perform - the higher it is. Handle one task at a time. Your mind perceives any task or goal as a problem and automatically spends energy to develop a solution. Don’t handle any more tasks before you find a way to complete the one on which you’ve started working. When you’re multitasking, you waste time and energy following an irrelevant course of focus - attention - unfocus - focus. Think of switching channels on TV. You quickly become tired just of doing it - same happens to your mind with every switch to another app, website or task. Also, context switching requires you to keep all the information regarding current tasks in your temporary memory. And our temporary memory is very ineffective and small. Prevent interruptions to keep your mind focused. Mental diversions are very tiresome. It's because you still have your priorities on your mind while being distracted by something less important. Part of your mind is idle in such situations. It causes it to spend precious energy, so avoid being sidetracked when you have something important to do. Remember, willpower is a finite resource in a human's mind and temporary memory is not vast. Ignoring distractions takes effort. It decreases willpower and therefore general cognitive resources. It is better to prevent a distraction in the first place rather than ignore it: turn off your phone and messengers, block distracting websites and concentrate on the task at hand. Use the Focus mode function upon creating a task which requires deep concentration from you. 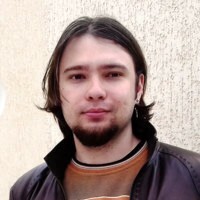 The Application will block all the websites marked as unproductive for you, so you will be able to focus on your work. With time it will help you develop a useful habit of concentrating on major goals without tinkering with distractions. The "Start tracking" button may also work like a trigger for your mind to focus on work. It is ok to have a break when you need it. It is but very important to spot the difference between procrastination and rest necessity. As well as learn when breaks are most effective for you. 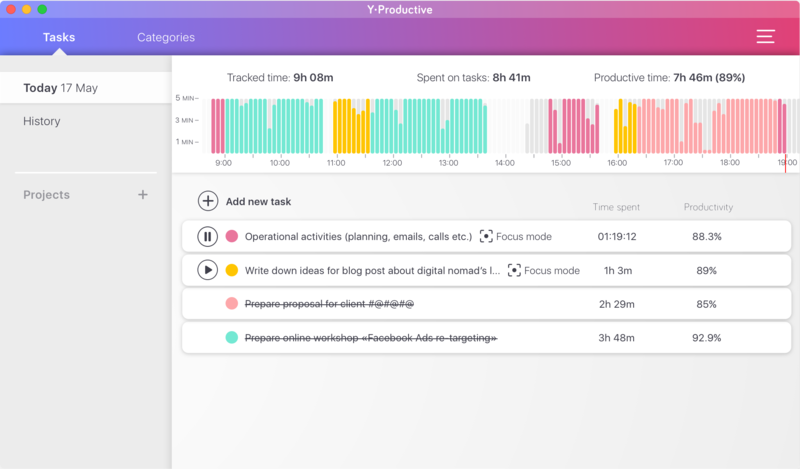 The need to open the Y-Productive App and turn the Focus Mode off is a nice buffer to register your decision and decide if it was a procrastination impulse or not. Observe the chart for your productivity patterns. It is very common to have a productivity decrease after a heavy lunch (so-called “food coma”). You may also notice other interesting signs of your behavior. For example, the stable productivity increase after 12 pm or at any other part of the day which suits your inner schedule the best. Always start your today by analyzing the yesterday. New information and situations are more energy consuming than the ones you’ve already dealt with, as to David Rock. Working on your new day goals in the context of what you have already done reduces the stress put on your mind. Observing the chart and learning how well you’ve performed yesterday, produces dopamine. It improves your mood and fills your mind with extra energy. Dopamine is a neurotransmitter that helps control the brain's reward and pleasure centers. It also helps regulate movement and emotional responses enable us to take action to move toward rewards. 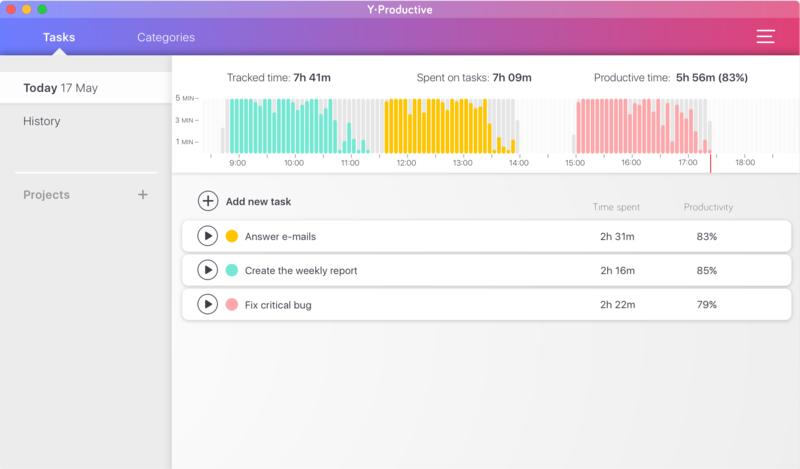 Y-Productive lets you be aware of your accomplishments, no matter how big or small they are. As each bar represents 5-minute segments of your time and the contextual menu provides the information about every app or website you used, you’ll know, in detail, when and why you rock. ‍Always start your today by analyzing the yesterday. Thank you for reading the article. 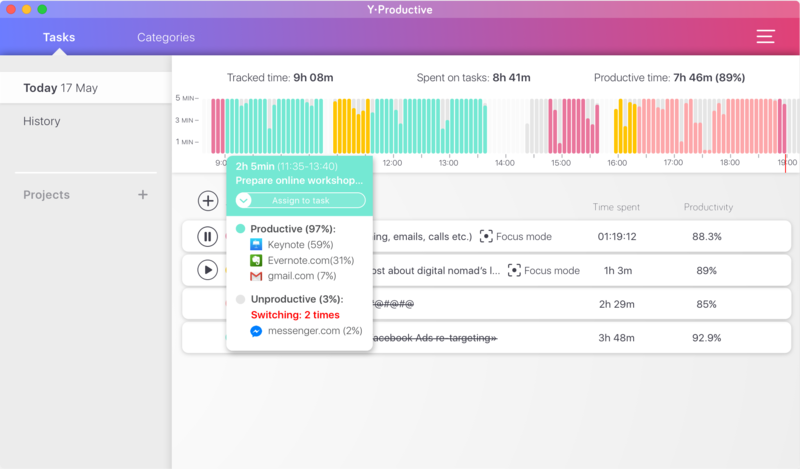 I hope it helps you to use Y-Productive to its fullest potential.